The Celestron Powerseeker 70AZ is frequently a top recommendation when people ask me what telescope they should get their kids as a first telescope. Let’s find out why. That first telescope is much more important that most parents realize as it can help foster an interest in astronomy and science in general, or completely destroy the child’s interest. You probably wonder how that could be, and that is an excellent question. Let’s look at this a different way; assume your kid wanted to play little league baseball. You went out and bought them a glove and a ball but when it came to the bat you bought one of those foam bats you can hit people with and not hurt anyone. Every time they tried to hit a baseball, the bat would simply flex and never actually make the baseball do anything. Since they never got a hit, always struck out, they would quickly loose interest and give up the game. Who wants to play a game where you never even have a chance of winning no matter how hard you practice and try? No one, that’s who. So now let’s switch to astronomy; you buy them a great book on astronomy and a cool map showing where some amazing objects are, then you give them a telescope that even when used by a professional could not identify a car across a football field much less the planet Jupiter in the night sky. It wobbles, it’s blurry, and it is extremely hard to navigate. What do you think their reaction would be? The good news is that you don’t have to spend a fortune to get a reasonable telescope that will keep them interested, and this telescope is one of those. The Celestron Powerseeker 70AZ telescope is a refractor telescope with a 70mm aperture on an alt/az mount and is pretty well made for it’s price of around $80. A large part of the telescope and mount are actually metal and have more stability than you might expect from a telescope of this size. From the minute you unbox the Celestron Powerseeker 70AZ you can tell it is a much better telescope than those cheap department store models. Setup is pretty easy and straight forward consisting of a few thumb screws and requiring no tools. The current model of the Celestron Powerseeker 70AZ comes with an adequate 5x24mm finder scope (just barely), a 20mm eyepiece, a 4mm eyepiece (useless) and a 3x barlow (also useless). You are probably wondering why I like the Celestron Powerseeker 70AZ when I use terms like barely adequate and useless when I describe the accessories. Good question. Virtually every manufacturer of lower end telescopes these days throws in some junk so that their “specifications” are better than the competitor’s, and the Celestron Powerseeker 70AZ is no exception. It is simply a sales tactic and it does not apply to just astronomy equipment. The last time I bought a toaster oven it came with racks and trays I have never had a use for, but it sure looked cool on the box that it came with all this extra stuff. Same thing here. I don’t really penalize the Celestron Powerseeker 70AZ for doing what everyone else does, particularly since the quality of the scope is high enough for the price that I could simply throw away the 4mm eyepiece and barlow. In comparison to other telescopes like the Celestron Powerseeker 80eq, the Celestron Powerseeker 70AZ has a longer focal length making it a better choice for close ups of the moon and viewing planets. Comparing the Celestron Powerseeker 70AZ to something like a Celestron Powerseeker 127eq reflector telescope it does not require near the cool down time (the 127eq has two mirrors which need to acclimate to the outside temperature before use or extremely blurry images could result) and requires no maintenance or adjustments such as the collimation required by the 127eq. The 127eq also requires learning how to use an equatorial telescope mount whereas the alt/az mount on the 70AZ is pretty much intuitive even to children with no experience. This makes the Celestron Powerseeker 70AZ a better choice for kids and first time telescope users. Where the Celestron Powerseeker 70AZ shines is actually using the telescope. With the alt/az mount there is nothing to learn, point it at something and look through the eyepiece, simple as that. The optics in this little scope are surprisingly good. No, they are not as good as say a $350 Orion Astroview 90mm refractor, but then again they are close enough to ignore considering how much cheaper they are. Images of the moon are very impressive although I would really like to have a moon filter (stay away from Celestron’s own moon filter) to make viewing a little more comfortable. Saturn and Jupiter are clearly identifiable and a joy to watch, as is the Orion nebula and Andromeda galaxy. From there it is a mixed bag with objects such as the Pleadies being easy to see and pretty spectacular, The Lagoon and Eagle nebulae are quite pleasing but require a bit more effort, while the Ring and Dumbbell nebulae are virtually impossible to get any enjoyment out of with the Celestron Powerseeker 70AZ beyond finding them. To some extent this can be improved with a couple of better eyepieces but I personally would probably suggest moving to a nicer telescope such as the previously mentioned Orion Astroview 90mm refractor if you find you outgrow the Celestron Powerseeker 70AZ and still want more. I was originally a little concerned about the plastic rack and pinion focuser but after using it a few times it has proven to be remarkably smooth and tight, allowing virtually no play but still being easy to use. I think that the light weight of the diagonal and eyepiece along with the relatively small size of the telescope tube allows plastic to work well here whereas it would not in a larger telescope. 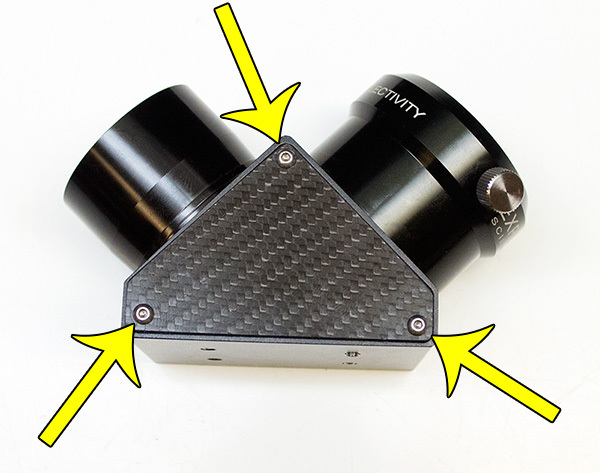 Speaking of the diagonal, the Celestron Powerseeker 70AZ comes with one made of plastic and a little unusual. Where most diagonals are angled the one included with the Celestron Powerseeker 70AZ is more of a ball shape with two tubes coming out. It also seems to be much more enclosed than a standard diagonal which should help keep dust, dirt and dew out of it over time. I am not really a fan of the finder but it serves it’s purpose fairly well. Like all finders, be sure you set it up during the day using a far away object such as the top of a telephone pole, water tower antenna, etc. Once it is adjusted it is acceptable. Of course, no telescope in this price range has a good finder because that would take money away from making the actual telescope better and we do not want that. You can do without a finder, but a terrible quality main telescope will just make the whole thing a waste of money, and the Celestron Powerseeker 70AZ is certainly not a waste. 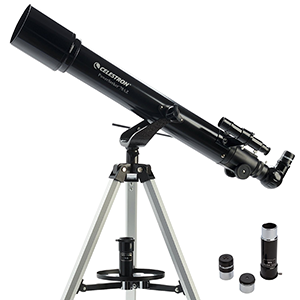 You will be hard pressed to find a better first telescope for a beginning astronomer. I really like to recommend the Celestron Powerseeker 70AZ because it is inexpensive, light weight, breaks down and stores small, requires no maintenance and provides more than adequate views of the most popular objects in the night sky. Quite a while back I received an Explore Scientific Diagonal model DD02-00CF with a telescope and was less than impressed. It gave terrible views and made odd noises when you rotated it in your hands. I didn’t think much of it as I had a very nice Orion 8727 2-Inch Dielectric Mirror Star Diagonal which I was using so I just chunked the Explore Scientific Diagonal in a box. Lots of time passed and I really wanted to have another nice diagonal to leave in a refractor that sits on a mount in my living room all the time. I had recently upgraded its focuser to a nice 2″ dual speed crayford and wanted it to have its own diagonal all the time, it was a grab and go scope. So I pulled out the Explore Scientific diagonal and was determined to figure out what was going on. Although I had an explore scientific refractor telescope, the AR127, and it was not a bad scope for the money, I really didn’t see how they could have that bad of a diagonal (it was worse than the super cheap one that came with little beginner telescopes, by quite a lot). I started by double checking my memory to make sure it wasn’t me since I really did not spend a lot of time with it back then because I didn’t have a use for it. Taking it out and turning it over in my hand, sure enough, there was a clanking and some rattling. A quick view up to Orion in my grab and go telescope confirmed what I remembered, terrible views. Back inside I took a close look at the Explore Scientific Diagonal and saw four allen head screws in the bottom which all appeared to be loose. I found an allen wrench that fit and very slowly attempted to tighten them. Since I did not really know what they did (although I had a suspicion) I put virtually no pressure at all on the wrenches, only attempting to run them in until there was any resistance at all. Two screws on one side met some resistance so I stopped immediately, the two on the other side seemed to offer no resistance at all and I finally stopped once I felt that they would come out inside the diagonal. This was really confusing. At this point I felt I had nothing to lose so I decided to disassemble the entire Explore Scientific Diagonal. To start with each side has three allen head screws holding the side plate on. Once the screws are removed it is still a little of a challenge to get the sides off as they appear to be stuck. The challenge was getting the side off without throwing the rest of the diagonal across the room. I found that removing the portion of the diagonal that fits into the telescope tube by turning it counter clockwise helped considerably as I could put a finger into the hole and push out on the side plate. At this point I could clearly see what all was going on and why the Explore Scientific Diagonal did not perform like it should. The mirror inside is in a bracket which is held to the housing by two screws on each side. The allen screws on the bottom of the diagonal then screw up into the housing and press against the back of the mirror allowing you to align it. This was what I had assumed so it was nice to get some confirmation, and this is also why when I was tightening those allen screws I put no pressure at all on the screws. The problem as I found out was that the mirror holder is very thin plastic. How thin? 1.44mm according to my calipers. To give you some perspective, the side plate whose sole job it is is to keep out dust and light measures 1.8mm. For those of you who are in the US, between the thickness of a dime and a penny. This means that the entire weight of the mirror is being supported by two pieces of plastic like that, one on each side. Just a tad too much force on the allen screws or one really good bump and they would easily snap, which this one did, probably in shipping since it was defective when I received it. Now I am a firm believer in the fact that if you make enough of anything, you will make a bad one. No big deal, get it fixed and move on. I will never fault a company for a single defective item, or even several of them if they take ownership and fix it, stuff happens. The problem here is not with the fact that I received one that is broken, that could have easily been the delivery driver dropping my package off the back of the truck, hardly Explore Scientific’s fault. The problem with this Explore Scientific Diagonal is with the idea of holding that mirror with that little thin piece of plastic in the first place. Any engineer (or even someone who slept in a Holiday Inn Express last night) should immediately know that is a bad idea even if the mirror did not have adjustment screws behind it that could potentially be over tightened. Add in those adjustment screws and that is just blatant stup…… nope, not going to say it. So why not just get it replaced under warranty and move on? The warranty on this Explore Scientific Diagonal has expired and even if I got a new one, if it had the same design I would not want to use it in fear of it breaking in the field. I am too old to play the break -> warranty -> break ->warranty game. There is so much good quality stuff out there today for me to put up with stuff made like this, particularly since it carries a premium price tag. Sure, it is cheaper than a $320 Tele Vue Everbrite 2″ diagonal, but when you can get a 2 dielectric diagonal like the Solomark 2inch Explorer Enhanced Dielectric Diagonal for under $100 or get a really nice Orion 8727 2-Inch Dielectric Mirror Star Diagonal for around $150, why put up with this one? 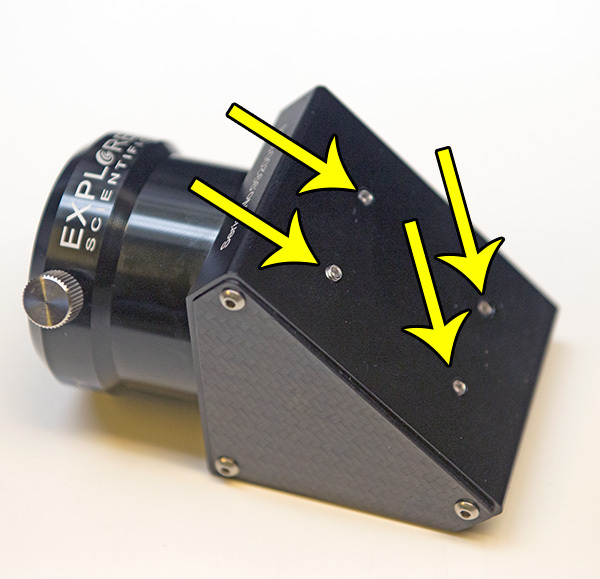 Since I personally have had less than stellar dealings with the explore scientific company, had mediocre experiences with their telescope, and now this issue with their star diagonals, I am going to steer clear of their products personally. I hope you enjoyed this explore scientific diagonal review! Whenever I see other people observing or imaging and ask them what they have their scope pointed towards, it is almost always some single object or a pair of objects. It might be a nebula, galaxy, or they may be splitting double stars, but few of them think of the Virgo Supercluster. The Virgo Supercluster is a group of approximately 47,000 galaxies situated just outside the constellation Virgo. Although there are a lot of superclusters in the universe, this is probably the most studied and certainly is the most amazing to view. I am not really sure why I never paid much attention to it, and I admit it never even occurred to me until I ran across a description of it in a book I was reading. It sounded pretty interesting so I took a quick look and was amazed. Then I imaged it, oh wow! The part of the Virgo Supercluster that was the most interesting was an area called Markarian’s Chain. This was a little section that all fits into one low power eyepiece or a single image and contains such prominent members as Messier 84 and 86 in the lower left of the following image. This is one of those targets that can just make you stare for hours picking out little details one right after another. 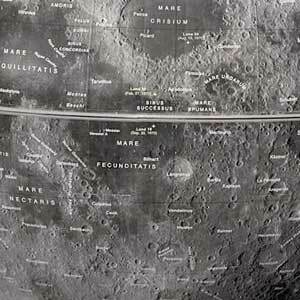 Find a fuzzy spot, open your star chart and see what it is. Another galaxy! 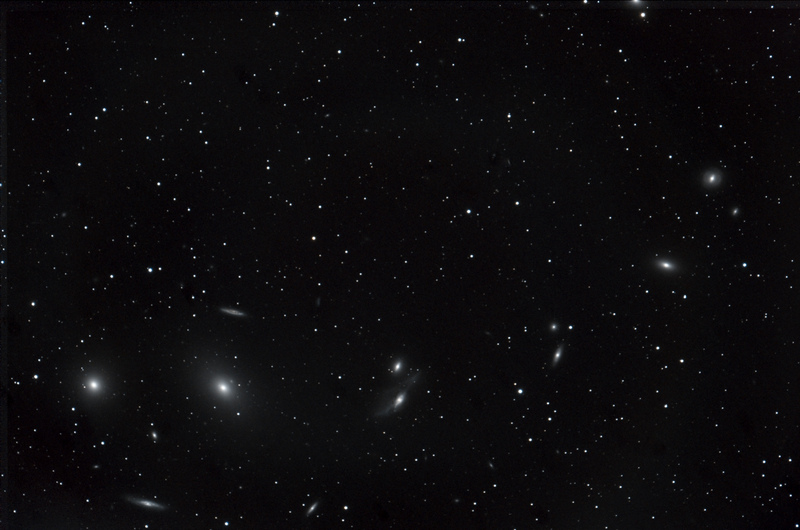 The name Markarian’s Chain comes from the American Astrophysicist Benjamin Markarian who in 1960 noticed that several of the galaxies in the chain seemed to move together, as if connected. Many members of the chain were discovered well before 1960 such as the two Messier objects being discovered by Charles Messier in 1871 and many others being noted in 1888 by John Louis Emil Dreyer in his New General Catalog. While the primary members of the chain are M84 (NGC4374), M86 (NGC4406), NGC4477, NGC4473, NGC4461, NGC4458, NGC4438 and NGC4435, there are many others as you can see in the image above. Both of the Messier galaxies and most of the NGCs can be seen in a small telescope from a reasonably dark site while the IC and PGC galaxies require a little bigger telescope to see as anything more than maybe a speck of light. 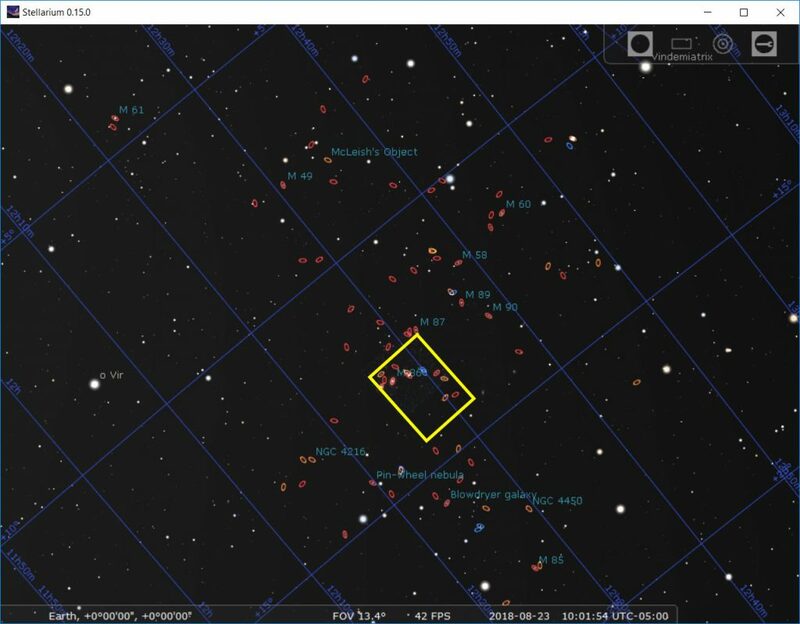 Opening up Stellarium and pointing it to the Virgo Supercluster we see a lot of objects. I have surrounded the area of Markarian’s Chain with a yellow box in the image above so you get an idea of how large the area is, and how many objects are in it. Even what is shown here by Stellarium is not the full area of the Virgo Supercluster, but is the majority of it. 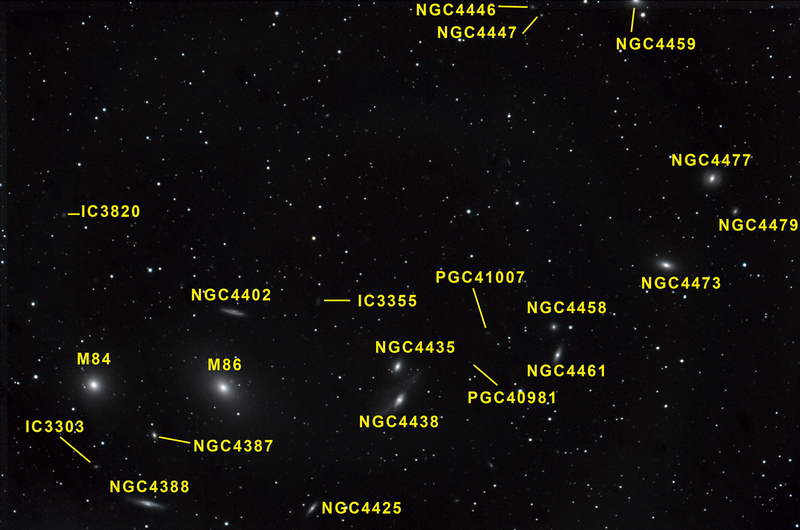 Note that in the above image only Messier, NGC, and PGC objects are shown, IC and other catalogs are not. To find the Virgo Supercluster, look north of Virgo between Virgo, Coma Berenices, and Leo. Trust me, once you get close with your telescope it will be hard to miss! Hopefully you will see that the entire area of the sky around the Virgo Supercluster, and Markarian’s Chain in particular, are worthy of some of your observing and/or imaging time. Pluto finally gets a face! How much do dark skies really matter? 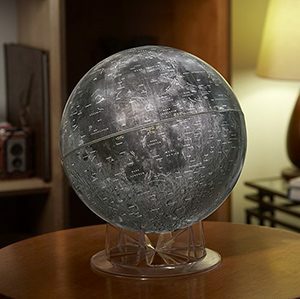 If you are in the market for a moon globe, there are only a few real choices. 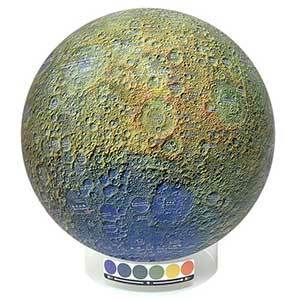 One of the most popular of those choices for years has been the Sky & Telescope moon globe. Even as a child, long before becoming an astrophotographer, I was fascinated by the moon. As a kid however things like a globe of the moon was just out of the question. Now that I spend a good portion of my time on astronomy related endeavours, I found room on my desk for another little toy, my own moon globe. I wanted something that was of course fairly accurate, and something that was large enough to actually be used as a globe. Sure, like most astronomers and astrophotographers I have maps, charts, and programs that will show me every inch of the lunar surface. That is just not the same as seeing where things are in relation to one another, and in relation to the entire sphere. Once I narrowed it down to the globes that were reasonably current and around 12″ in diameter, that left me with three choices; the Sky & Telescope model, the Replogle model (probably made the S&T one too) and the Watanabe 3063. 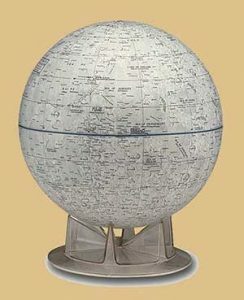 The S&T model moon globe was the best looking sporting a dark gray color, it also had excellent reviews. It is hard to argue with Sky & Telescope, they are very high up the food chain in astronomy circles. The other two, not so much. The S&T one went for $99, not too much. The Replogle moon globes I found were a little cheaper, but seemed based on an older lunar map, and also had more complaints about fit and finish. I thought this odd because it sure looked to me that they were made by the same people that made the S&T globe, right down to the base. This globe came in at around $80. Lastly, there was the Watanabe 3063 which is a color moon globe where the colors denote the heights of the surface features. 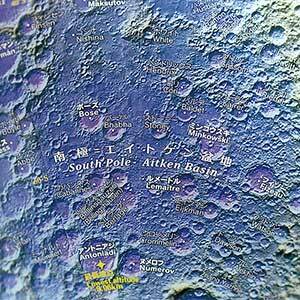 The Watanabe is the only topographic moon globe in this roundup. This moon globe supposedly uses data from the Japanese Kaguya spacecraft to make the mappings extremely accurate. Indeed if you look close at this lunar globe, it appears to be extremely detailed, and it should be for the $175 asking price. I decided to go with the S&T model for now as the more realistic appearance of this moon globe was more important at the time than the hyper detailing on the Watanabe model. The globe arrived in excellent condition directly from S&T. The assembly consisted of taking the globe out, taking the base out, and setting the globe on the base. Detail on the globe is very good, everything I was expecting. To see all the detail I needed a magnifying glass, and even with that, the detail holds well. With enough magnification you can of course see the pattering in the printing, but that is at such a magnification that it does not detract from exploring the surface at all. This moon globe and the Replogle one both have an obvious seam running around the equator of the moon. Once you get one at look close, you can easily see this is where two images have been taped together. No attempt has been made to hide this fact, and it stands out pretty obviously even from a distance. This would be my main complaint with this moon globe. In comparison, no picture of the Watanabe globe I have seen seems to have any seam at all. This may be the feature that drives me over the edge and forces me to lay down the money for the more detailed, color coded, Japanese globe. Overall however, I am happy with my purchase, it was the best moon globe for me. It may not be as detailed as one, and more expensive than the other, but I think it strikes a nice balance and looks dang good sitting on my desk. The Replogle is too light colored, and the Watanabe is too multicolored, to pull off what I was looking for. You however, may have something entirely different in mind with your moon globe so those may be a better fit. If you like the S&T moon globe, you might also look at their other globes, such as the their ones of Venus, Mars and Pluto. I hope you enjoyed my review of my new Sky & Telescope Moon Globe! I have had an Orion XT8 SkyQuest 8″ Dob for a few years now and it has held up well. This telescope has offered up a nice view of a lot of objects but for some reason I have never written about it. Let’s change that. Here is a short Orion Skyquest XT8 review. I bought this telescope several years ago and paid less than the Orion Skyquest XT8 price on Amazon, but like most things, prices have gone up a little and they have changed the scope a little. My old Orion XT8 came with a couple of eyepieces and I believe one of Orion’s Deepmap 600 maps which I love. The new one has eliminated one eyepiece and the map, but thrown in a few enhancements we will look at. This is the older version which only had a 1.25″ rack and pinion focuser whereas the newer ones seem to come with a 2″ crayford which I can say would be a huge improvement. While this older focuser is not nearly as nice and I can’t use it with 2″ eyepieces, it is still a solid unit. The newer versions of the Orion XT8 and my version both come with a red dot finder which is really cheap and flimsy. I much prefer Orion’s Orion EZ Finder Deluxe which sadly is not available any more. You can however get a Astromania Finder Deluxe Telescope Reflex Sight from Amazon which is almost an exact copy, yea! The best thing about this scope is that it is a solid scope, both in build quality and image quality. My Zhumell Z8 scope is a much nicer scope to use than this Orion XT8 and came with better accessories, but for the money, this is an awesome starter scope and no one will regret buying one. Orion’s technical support is also first rate and should you run into any problems, the solution is a quick phone call or email away. You probably won’t need that however because this Orion XT8 is not only well built, but drop dead easy to assemble and use as well. Opening the Orion XT8 box you find the tube in one section and the base/parts in another. Assembling the base was a simple matter of three side pieces and the bottom, along with a hand full of allen head screws for which they provided the tools. Once the base was assembled, you can just set the tube in the base and attach the side springs which put tension on the setup so the scope stays where you put it. 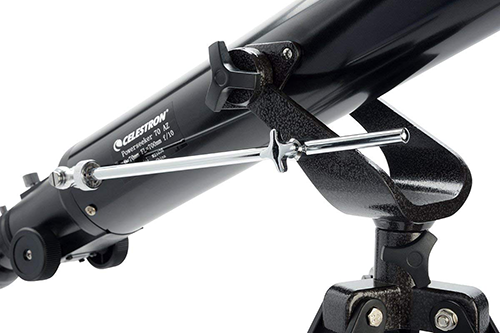 Other telescopes I have used have adjustable tension while this one does not, but I fail to think of a scenario that a typical beginner would get into where that would be a problem. In fact, the only time I have used my tensioners on my Zhumell Dob is when I was doing something the telescope was never designed to do in the first place so I am not going to penalize the Orion XT8 for not having it. About the only thing left is to slide the finder into the slot for it and tighten it down, then grab the eyepiece and start looking around. Initial thoughts on moving the scope around are that it is pretty smooth in both altitude and azimuth movements. Years later, it is still remarkably smooth. As smooth as the more expensive scopes that use high end ball bearings for everything? Well no, but for much less expensive scope it is more than smooth enough and seems to keep that smoothness over the years. Using the teflon (I am assuming) pads on the altitude might actually be a really good thing as bearings can wear out and possibly corrode, the pads probably will not. One of the down sides to any Dobsonian telescope, including this Orion XT8, is the cool down time. This is the time it takes for the telescope mirrors to adjust to the temperature outside. Typically you take the telescope from an air conditioned inside to an outside viewing location and the temperature can vary between the two locations by up to forty degrees. This temperature variance causes terrible viewing as the mirrors cool down (or warm up). Once the mirrors have equalized, the viewing is exceptional. Although not included with the scope, Orion does have a cooling fan that attaches to the back of the Orion XT8 to help it cool down faster. Although I much prefer dual speed crayford focusers in my telescopes, the single speed rack and pinion in my Orion XT8 is pretty nice, and very functional. The newer single speed crayford in the new version of the Orion XT8 I am sure is an excellent focuser. Users I have talked to say it is very fast and smooth and a real improvement over the rack and pinion design. 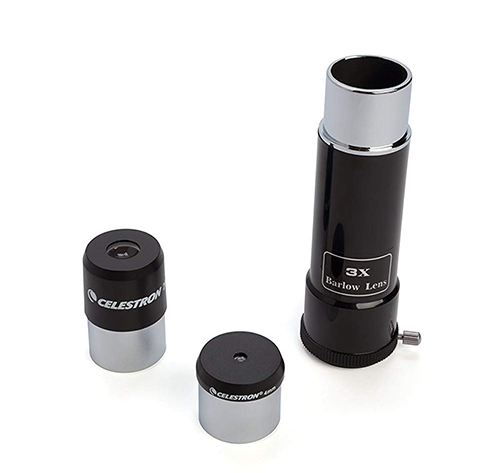 The 25mm eyepiece provided with the scope is a solid eyepiece for a beginner and provides excellent views of the moon, Andromeda galaxy, Orion nebula, and a host of other popular beginner targets. Unfortunately this one eyepiece choice can leave someone a little lacking so I would suggest you get an Orion moon filter and an Orion 12.5mm Sirius Plossl eyepiece to round things out. Orion gives you a coupon for a download of some astronomy software included with the Orion XT8. I am not a fan. You can get Stellarium for free off the internet but really, who has a computer out next to their telescope unless they are doing astrophotography? Better options include Orion’s own Deepmap 600 which is awesome in the field, a nice Planisphere (be sure to select the right one for your location!) or any number of excellent phone/tablet apps. Whichever Orion XT8 you decide on, you will have a telescope that should last for many years and provide excellent views. 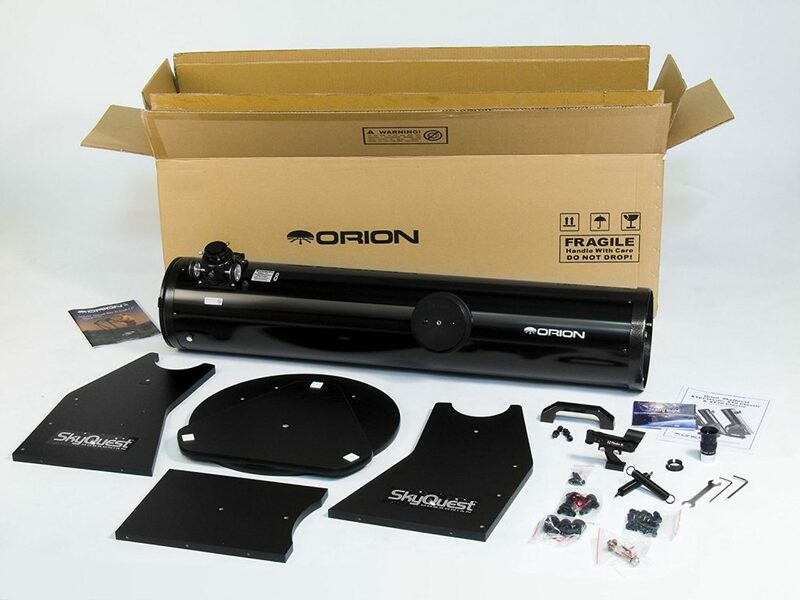 I hope you enjoyed my little review of the Orion XT8 Dobsonian telescope! 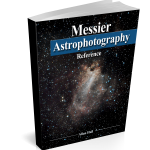 Most people interested in astronomy know the name Messier because they use the Messier Catalog for both visual astronomy and astrophotography. Charles Messier, the name behind the catalog, is not always so well known. I thought I would take this opportunity to introduce Charles Messier to you. Charles Messier was born in Brandonviller France on the 26th of June, 1730. This was just north of Lac de Pierre-Percee and about 80km west of Strasbourg, France. His mother Françoise B. Grandblaise, and father, Nicolas Messier had twelve children. His father worked in the Prince of Salm’s administration as a court usher and was well respected. Born into a wealthy family, Charles Messier enjoyed an excellent formal education, at least until his father died when he was eleven in 1741. His father’s passing sent the family into financial hardship forcing him to withdraw from his formal education. That same year, Charles fell out of a window and suffered several broken bones. He also mourned the passing of six of his eleven siblings. His education continued at home under the instruction of his older brother for the next eight years. Despite all of this hardship, he was fascinated by astronomy. Much of this interest could be attributed to two celestial events in his youth, the appearance of the “Great Comet of 1744” (C/1743 X1) and the annular solar eclipse of the 25th of June 1748. 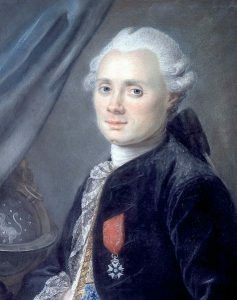 When he was twenty one years old, in 1751, Charles Messier began working for French Naval Astronomer, Joseph Nicholas Delisle. Delisle was originally instructed by Jacques Cassini, son of famous astronomer Giovanni Domenico Cassini. Delisle had also overseen the building of a new observatory in the palace of Cluny in 1747. Messier made the most of this appointment even though in the beginning it was little more than keeping the astronomical records of other astronomers. 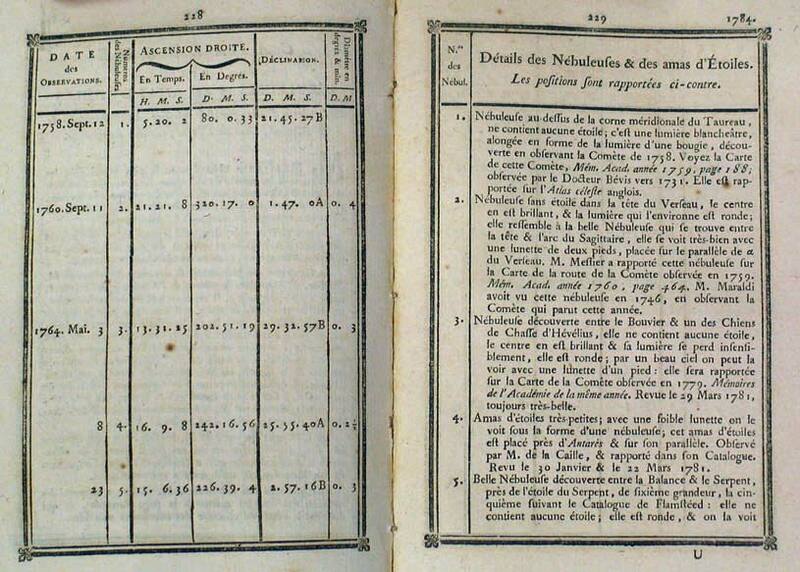 He continued working on astronomy when he could, and his first astronomical observation was dated May 6, 1753. This sped his advancement in astronomy such that in eight short years he became chief astronomer of the Marine Observatory. Five years later he was made a fellow of the Royal Society. 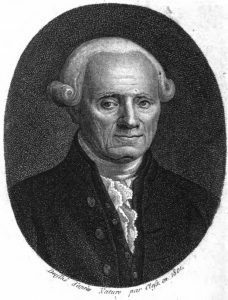 Charles Messier’s primary focus of space research was in comets, of which he discovered thirteen. He is most famous however for his list of bright objects in the skies of the northern hemisphere. This list came about because on the 28th of August 1758 while he was searching the skies for comet Halley and he noticed a stationary (as compared to the stars) fuzzy object in the Taurus constellation. Charles Messier noted this object so that it would not be confused with a possible comet sighting as he worked. This object went on to become know as Messier 1, M1, or the Crab Nebula. Over the years he cataloged over one hundred objects in his list. Years later researchers added a few that he had noted but not put on the list to bring the total to one hundred and ten. “What caused me to undertake the catalog was the nebula I discovered above the southern horn of Taurus on September 12, 1758, whilst observing the comet of that year. This nebula had such a resemblance to a comet in its form and brightness that I endeavored to find others, so that astronomers would no more confuse these same nebulae with comets just beginning to appear. I observed further with suitable refractors for the discovery of comets, and this is the purpose I had in mind in compiling the catalog. 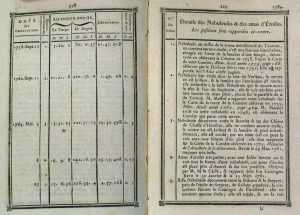 Both M1 and M2 were objects that had been previously discovered, by one of the most famous English astronomers, John Bevis in 1731 and Italian astronomer Giovanni Domenico in 1746 respectively. Charles Messier’s first true discovery was the globular cluster M3 in the Canes Venatici constellation on the 3rd of May 1764. When he was 40 years old, on November 26, 1770, Marie-Francoise de Vermauchampt became Mrs. Charles Messier. Charles had met her in 1755 at Collége de France. On March 15, 1772 Marie gave him a son, Antoine-Charles Messier. Unfortunately she died from complications eight days later. Antoine was not much luckier as he passed away only three days after his mother. Charles Messier never remarried. Charles Messier‘s list continues today as the single most recognizable list in astronomy. This popularity was probably due to the fact that it is relatively easy to observe all of the Messier objects with nothing more than a reasonable set of binoculars. Many of the targets are quite visible even with the naked eye such as M31, M42 and M45. Messier is one of the most famous French astronomers and at the top of any list of astronomers you may find in any astronomy book. 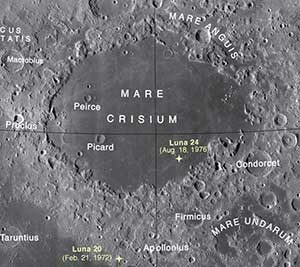 He has both an asteroid and a lunar crater officially named after him. Beginning and advanced astronomers alike enjoy the objects Charles Messier gave us. His catalog is often used in “Messier Marathons” that attempt to see as many of the objects as possible in a short period of time. These marathons can be as short as one night. It is also fairly common for amateur astrophotographers to attempt to image all 110 of the objects as a kind of “right of passage”. One problem with Charles Messier’s list is that it only contains objects from the Northern Hemisphere. This makes sense because he only observed from that location. Other lists such as the Caldwell list have sought to become an addition to the Messier list and include objects from the Southern Hemisphere as well. 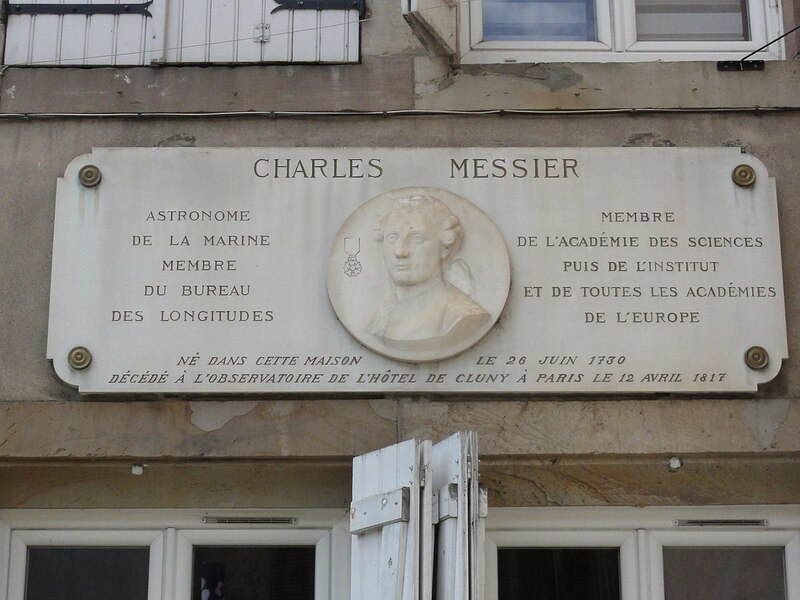 If you would like more information on Charles Messier, check out this excellent biography. If you want to know more about the objects that Charles Messier cataloged, you might be interested in my book, the Messier Astrophotography Reference. I hope you enjoyed reading about Charles Messier! 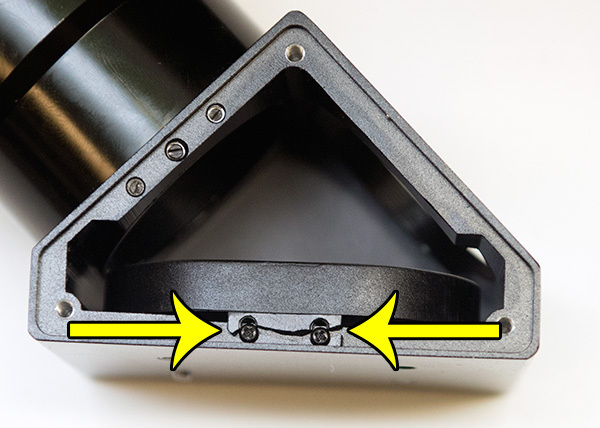 I am constantly seeing people asking for eyepiece recommendations so I thought I would address this problem. To start, I have created a video on my YouTube channel talking about the basics of eyepieces. You can see this video at https://youtu.be/KTB_C6v0rQw. Even after learning more about eyepieces, the question remains, what eyepieces are worth investing in? To solve this problem I have created a list which attempts to give you a recommendation for brands and models of eyepieces over several different price points. Keep in mind that these are generic recommendations for most people but there are always exceptions based on specific telescopes and targets. For example, fast Dobsonian telescopes usually require higher quality eyepieces than a long refractor will. I am creating my list using a 17mm eyepiece. This is a nice middle of the road size and provides nice views with virtually any telescope. In addition, almost every manufacturer makes a 17mm or very close to it so that made the comparison easier. With no further delay, here are my personal recommendations. These suggestions are based off what I own and have personally used. There are lot of other brands and models available, some didn’t make the list because I do not recommend them and some because I have not used them. When in doubt, you can always ask. 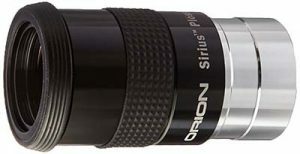 I suspect the Orion Sirius Plossl is the same eyepiece from several other people such as Vixen and Highpoint with just a different name stamped on it. I like the Orion because I have always received a good quality product for the money I spent so I tend to stick with the Orion name even if the Vixen is a few dollars cheaper. Better safe than sorry. The Orion Stratus is probably the same as the Baader Hyperion so either would be fine. Since I have used a lot more Stratus eyepieces than I have Hyperions I listed them here. I also like the color of the Stratus eyepieces better than the Hyperion, heh. I currently own all the brands and models listed in my chart except the Morpheus. I have used a couple, but never owned one. I have a lot of Baader filters, and a nice set of Stratus eyepieces which I have had great luck with so I have no reason to think the Morpheus line will be any different. The couple I used were excellent. The sizes I recommended are for a “typical” telescope. 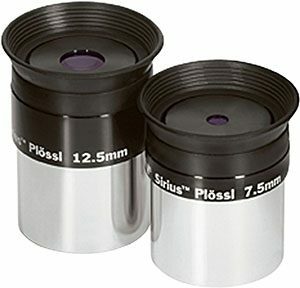 If in doubt of what sizes you may need, I recommend you get the 17mm first, then use that one for a while and see if you consistently want something with more or less magnification and use that to determine what to purchase next. Peter Sim on Full well capacity and why does it matter? Susan on Our first contest! Celestron Powerseeker 70AZ telescope review - Explore Scientific Diagonal DD02-00CF Review - The Virgo Supercluster, a neglected jewel in the night sky - How much do dark skies really matter? - Moon globe from Sky & Telescope review - Monochrome vs OSC CCD cameras, which is right for you? - Astrophotography image storage and backup - Orion XT8 SkyQuest 8" Dobsonian Telescope Review - Recommended Telescope Eyepieces - Total Solar Eclipse August 21, 2017 in Tennessee - Happy holidays! - Schumacher XP2260 Portable Power Source Review - Comet 168p Hergenrother and Halloween - Endeavour’s last flight - Orion Skyview Deluxe 90mm f/11 refractor - Comet Gerradd C/2009 P1, My first comet - Supernova SN2012aw in M95 galaxy - My first serious planet attempt, Saturn - Stellar spectroscopy, the light of the stars - Dark nebula Clark 549, something different - New spectroscopy software Rspec, and Arcturus revisited - Annular solar eclipse from Albuquerque, NM - 2012 Venus transit from Smithville Texas - Basic spectral classes finished, plus a couple extra! - All 110 Messier objects imaged, finally - Explore Scientific AR127 review - M78, a surprising little area of the sky - Orion SkyView Pro mount review - iOptron SmartStar E R80 budget goto - Getting Started: Long Exposure Astrophotography released - Using astronomy forums to get information online - Orion Stratus eyepieces review - worth it? - Huntsville astronomy club's new website - Orion G3 Mono for spectroscopy - ATIK 383L Mono CCD, my new camera - Messier Astrophotography Reference released - Zhumell Z8 Dobsonian Review, not all dobs are equal - Young moon, a slim waxing crescent - Getting Started: Budget Astrophotography released - Total Lunar Eclipse 04/15/14 - Difference between DSLR and CCD astrophotography - Getting Started: Visual Astronomy released - DIY light cylinder for taking flats; small, light, battery powered - Burnham's Celestial Handbook - Carl Sagan's Birthday! - Observing the moon in daylight - Orion 2" Multiple Filter Wheel review - You don't have room to carry a telescope? - Windows 10 for astronomy, should you upgrade? - Historical Astronomy Equipment - Keeping warm while observing or imaging - Five planets in the morning sky - Pixel size, sensor size and more - Astrophotography tutorials, reviews, and more on YouTube. - New book on taking pictures of eclipses released! - Print edition of EQ mount book released - Charles Messier, Astronomer Extraordinaire. - New raw data added to Long Exposure Astrophotography page! - Astrophotography forum back up and running - Astrophotography objects for beginners book released - Social Media addition to Allans Stuff - Our first contest! - Full well capacity and why does it matter? - Time for a new coat of paint, website paint that is. - This time I am doing things different - How to keep cool observing in the summer heat. - Nikon moving to single USB cable - First light - Decisions made, packages arrive! - Dark site etiquette - Comet Lovejoy C/2014 Q2 - Pluto finally gets a face! - Why have a separate astrophotography laptop? - Brightest supermoon in seventy years - WordPress For Normal People book released! - Cooling a camera sensor, why and how. Part 1 - Beginning astronomy, and astrophotography - Andromeda Galaxy, M31, First Deep Space Object - Solar imaging first attempt - M42 The Orion Nebula, revisited - Andromeda galaxy revisited - Ha with an unmodded DSLR, pushing the limits - Data Recovery For Normal People book released!